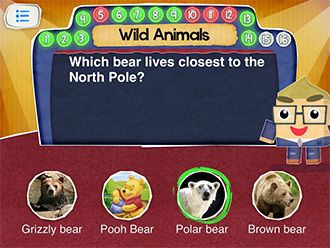 A new way to practice reading while learning fun facts! 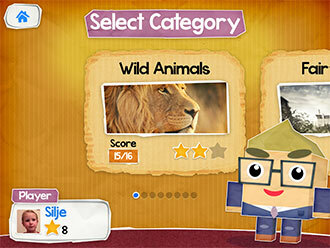 Exciting, educational, and truly tailored for children! 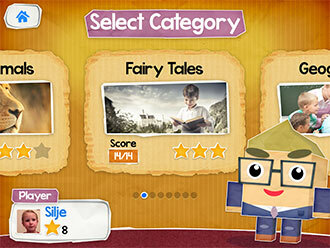 Beautiful HD graphics and fun categories! 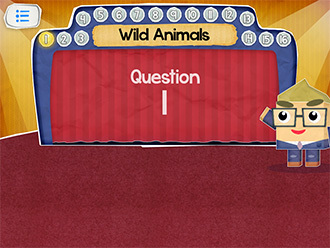 The game's easy-to-use interface allows children of all ages to interact easily with the app, while the icons that accompany the answer options reference classic films, geographical landmarks, and cultural norms. 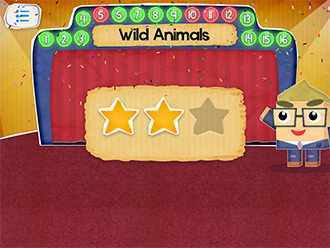 Choose from English, French, German, Spanish and Norwegian, and watch as the "Host" cheers you on in 5 different languages, making this game double as a language-teaching tool. 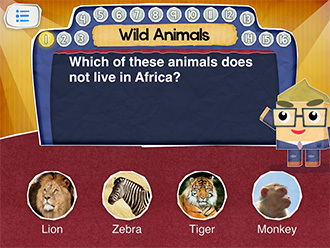 Exposing children to the lifestyle and ideas of faraway places, as well as presenting the diversity of multiple cultures represented within the game, makes Quiz For Kids especially practical, yet so entertaining, children will forget they're even being quizzed! 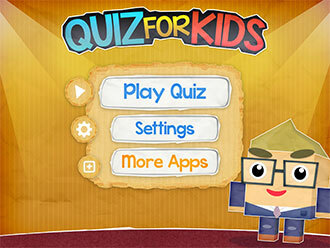 Want to write about Quiz For Kids?